AMD posted mixed quarterly results. The company’s revenue guidance for the current quarter missed Wall Street expectations. Shares gained as much as 7% following the results. 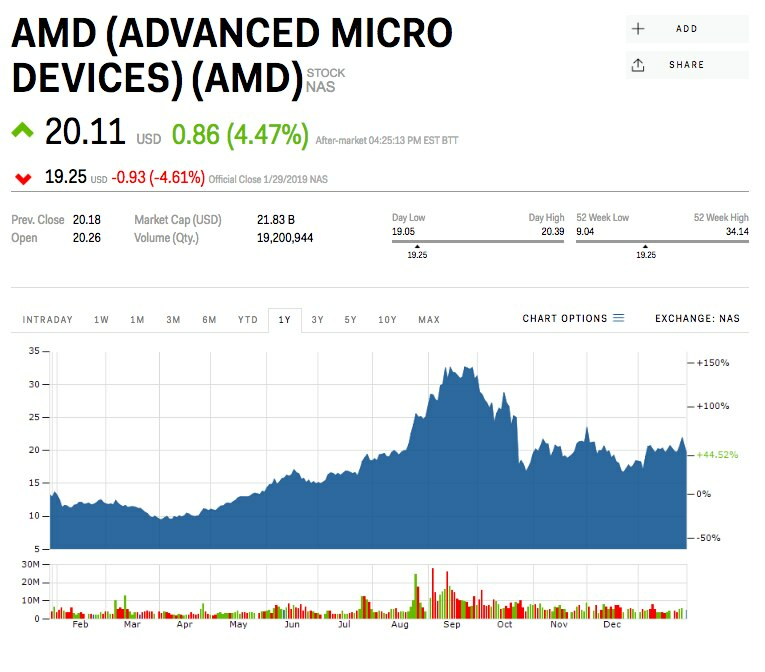 AMD on Tuesday announced mixed fourth-quarter results and guidance that fell short of Wall Street expectations, but beaten down shares were up 5.4% following the report. 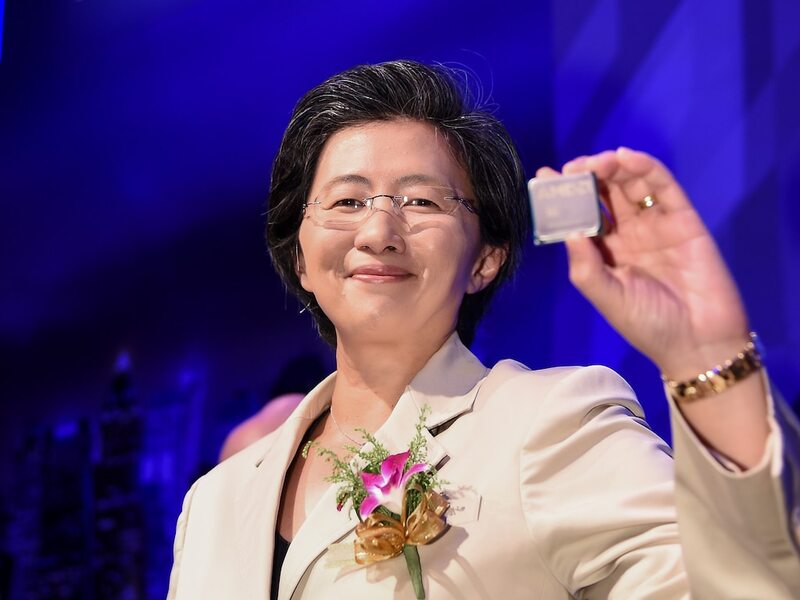 AMD also said it expects full-year 2019 revenue to grow by a high single-digit percentage, driven by Ryzen, EPYC and Radeon datacenter GPU product sales as the company ramps up its 7nanometer products throughout the year. The company also sees non-GAAP gross margin to be greater than 41% for 2019. Ahead of the results, shares had plunged 5% on Tuesday — one day after rival Nvidia warned that conditions in China had led to an “extraordinary, unusually turbulent” quarter. The chipmaker cut its revenue guidance for the fourth quarter to roughly $2.2 billion, down from about $2.7 billion. And one Wall Street analyst thought the warning from Nvidia could indicate an earnings miss for AMD. “While the other shoe has dropped at NVIDIA, we think AMD is further behind in working through its GPU inventory issues,” Susquehanna International Group analyst Christoper Rolland wrote ahead of the report. AMD shares gained 45% over the past 12 months.